Coaches who have previously registered for an Age-Specific Module must complete it before they are permitted to coach again for the 2013-14 season. Coaches may still register for a module but at a cost of $50 per module. Module access will be shut down completely on April 30, 2014. The online age-specific modules are currently open and available for the 2013-14 season. All modules must be completed by the end of the day on December 31, 2013. 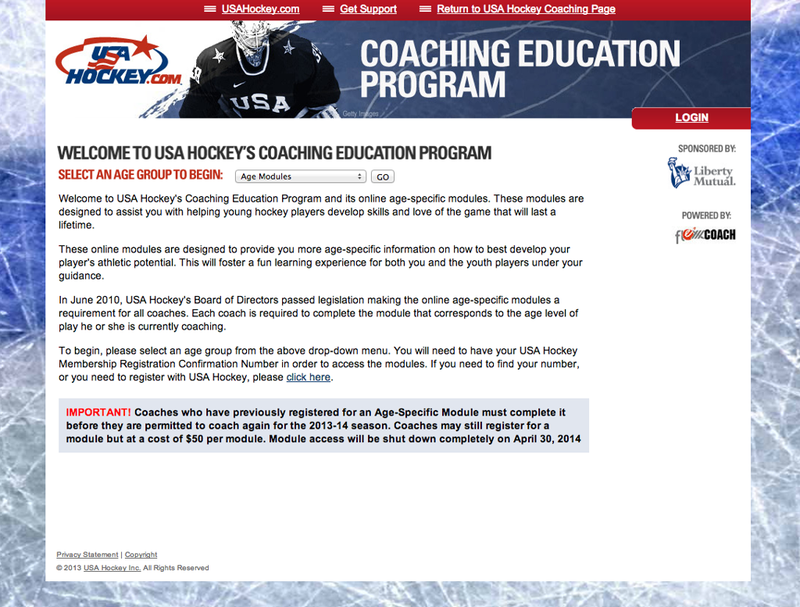 You MUST be a paid member of USA Hockey for the 2013-14 season in order to register for a module or access previously completed modules. Click on Membership and Register Online above to register or retrieve your membership number.